Brief History of 44th B.G. The following history is taken from the 44th Bomb Group Veterans Association newsletter. 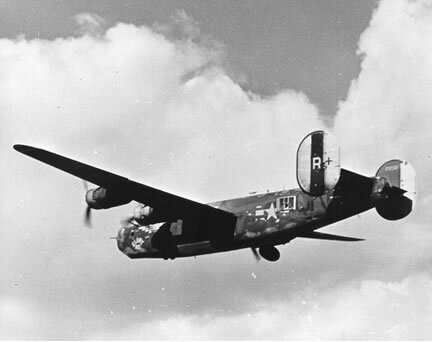 8 Ball Tails: "Our featured aircraft for this issue is B-24H #42-52616, Call sign C. She was assigned to the 67th Bomb Squadron in early April, 1944. On September 1,1944, she was transferred to the 66th with a call sign change to Q+. On October1, 1944, she flew her first mission under the call sign R+, which remained with her until the graveyard. 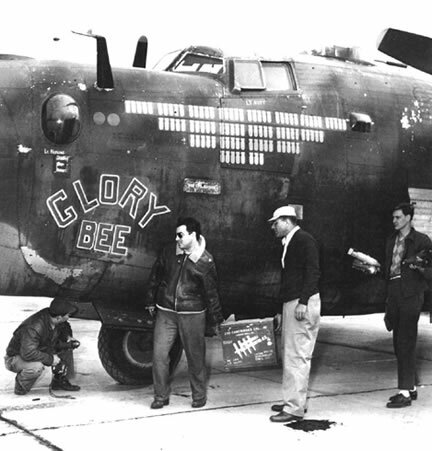 In thirteen months of combat, "Glory Bee" was launched 107 times, completed 98 missions, suffered 7 aborts, and was recalled 4 times with mission credit for two of those with bomb drops on targets of opportunity. After a couple of "Trolley Missions" after V-E Day, "Glory Bee" departed for the U.S. on May 31, 1945, with the Capt. Norm Nutt crew and Ground Crew aboard. She Flew from Valley, Wales to Bradley Field, Connecticut, thence to Willow Run. After some short-term test work she was flown to Kingman, Arizona, to be scrapped. Of the many crews who flew "Glory Bee," the Charlie Mercer crew got the most (18) combat missions credit, which included 2 sorties in "Glory Bee" on June 6, D-Day. Wilber Carter and crew got 15, and Arnie Kleinschmidt flew her 5 times; two of which were on 26 and 27 February, which ended a 5 mission back-to-back string. On 28 February she stood down, then beginning 1 March, she again launched 5 times back to back. This string was however broken by an air abort with Kleinschmidt piloting. On 21 through 24 March she flew another 4 sorties back-to-back. Her total for March, 1945, was 16 sorties launched with 2 air aborts. 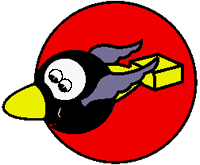 "Glory Bee" was maintained by S/Sgt. James H. "Red" Dixon and achieved this magnificent combat record under the care of S/Sgt. Dixon and his crew in only 13 months on the job."